WACO, TX — The Jack Harwell Detention Center in McLennan County has been declared non-compliant after its most recent inspection. This is the third time they have been declared non-compliant in the past year. The inspection on March 11-12 showed that the detention center was failing to properly screen potentially suicidal inmates or inmates with mental illness. They said the screening forms were not completely filled out, and jail staff failed to document when they notified a supervisor to a potential problem. Other parts of the inspection echoed violations from the past. The jail was inspected in August and November of 2018 - and failed to meet requirements each time. In August, it was discovered that although observation logs stated that jailers spent a minimum of 30 minutes of visual face-to-face observations with inmates who are known to be assaultive, suicidal or mentally ill, video surveillance did not reflect that. During that inspection, it was also discovered that there are times that jailers are not in their assigned wings. To meet compliance, there must be no less than one jailer per 48 inmates, and there must be one jailer on each floor of the facility. The jail was inspected again in November, and again, there were times that jailers were not in their assigned wings. 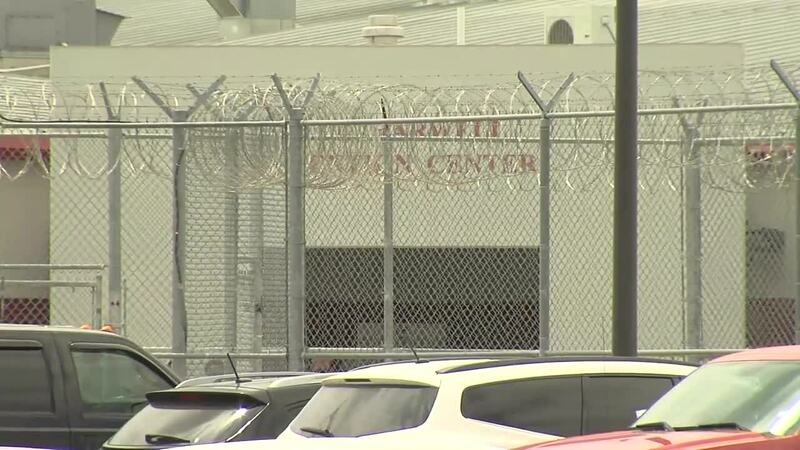 The executive director of the Texas Commission on Jail Standards, Brandon Wood, said that if a detention center continues to fail inspection within the year, they work with the county to correct the situation. In May's board meeting, they expect to give an update on their compliance status and provide a corrective plan of action.